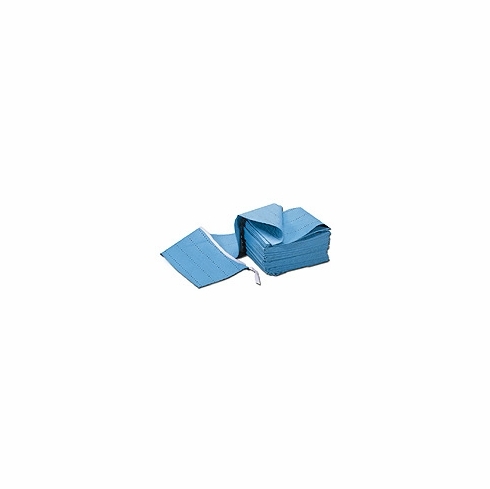 16"x100' Sweep 1/bag, Blue Oil Only Premium Double-Weight Sweep; 1/bag (ABSORBS UP TO 19 GALLONS/72 LITERS PER BAG). • Sprocket bonded every 4” for strength. • Continues to float while fully saturated. • Removes thin oil slicks and rainbow sheens off water. • 100’ sections are ideal for dragging behind or connecting between two ships. • Use with Booms for additional spill containment.